Framed for a crime he didn't commit, Lee Earnshaw is two weeks out of prison when an ex-con tries to kill him and his former love, K-9 rookie cop Ellen Foxcroft. Recognizing their attacker as a man he met in prison, Lee knows he must be the intended target. But is the shooter settling a score, or does Lee have something he wants? Determined to start over, training puppies and maybe getting a second chance with Ellen, Lee vows to keep both of them safe. But as they investigate together, Ellen's golden retriever partner at their side, they find themselves dead center in a killer's crosshairs. 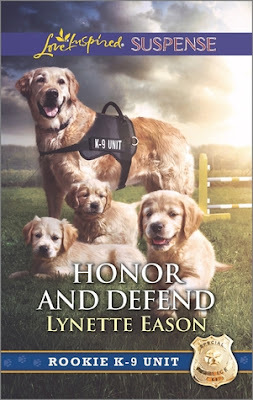 My thoughts: HONOR AND DEFEND is the first Love Inspired Suspense book I read by Lynette Eason. I love her books published by Revell and decided to look at these - but they read so different it's like they are not written by the same author. I suppose it might be the brand - or the editor, I don't know. I didn't figure out whodun it or even why right away, so as a suspense keeping the reader guessing, it was good. The story was told more than shown, and it has the typical LIS formula of something keeping the heroine running in every chapter. It was interesting to see how all the crimes that were unsolved tied together. I didn't enjoy this book as much as Ms. Eason's other suspense so I likely won't pick up any more LIS by this author but will continue to read her other books. 3 stars. 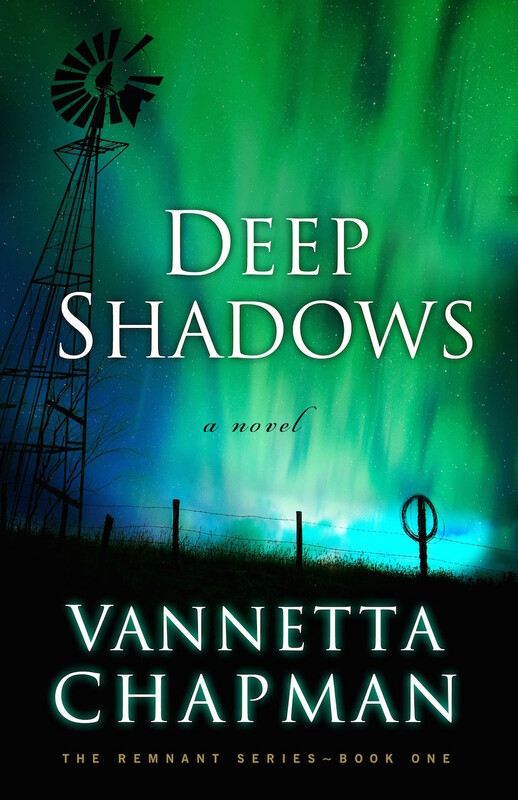 Vannetta is very graciously giving away a copy of Deep Shadows to one lucky commenter. To enter leave a comment, include contact information and tell us about a time you had to live without a cell phone, television and a/c. If you haven't yet, tell us how you think you'd react! Deep Shadows is the first book in my upcoming Remnant Series. It’s a dystopian Christian fiction novel, and instead of using a fictional setting I decided to use the area I know best—central Texas. So what is dystopian fiction? At its core this type of story deals with a major shift in society—a plague or a global natural disaster or a man-caused universal change across the breadth of society. In Deep Shadows, a solar flare causes a disruption in all things electrical for the foreseeable future. Yikes! No cell phones or a/c or television? No internet? I know. It’s a horrible thing to imagine. I had a lot of fun with it because I love torturing my characters and seeing if they are strong enough, smart enough, faithful enough to survive. But it’s not all fiction. a dramatic, remote setting for the opening scene of Deep Shadows. installations in the world. The close proximity of this base provides a nice tension to my plot.  There is no town called Fort Croghan; however, the US government established Fort Croghan in 1849 to protect settlers from hostile Indians along the Texas frontier. You can still visit the grounds and museum. I had a lot of fun imagining that a town had grown up around this historic site.  Townsend Mills was established in 1856 and was a base camp for surveying crews. It no longer exists today but the small town Adamsville is located near the old site. Townsend Mills provides a nice transition from small town living to a life spent hunkering down on the farm, waiting for things to improve.  There are more than 2900 natural springs in 183 Texas counties. 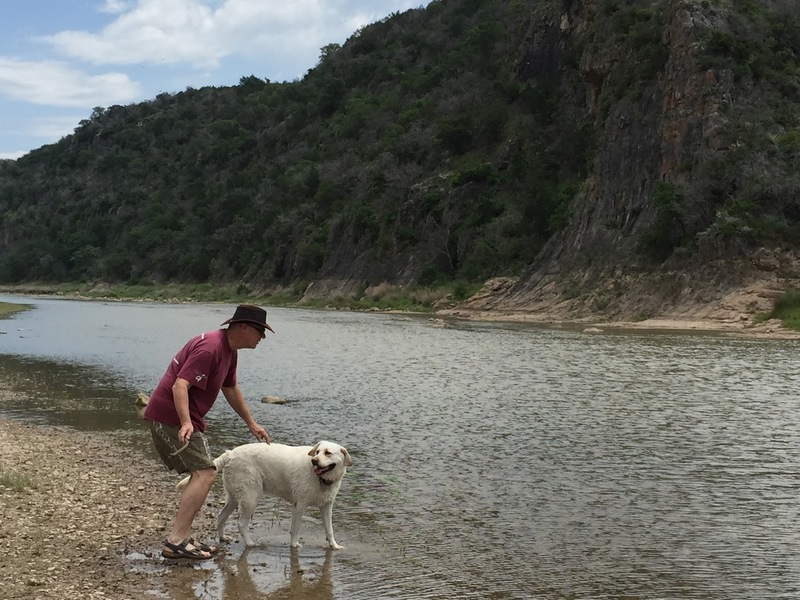 Water quickly becomes a scarce resource in Deep Shadows, which would especially be true in central Texas where much of the area is exceedingly dry. In my story, any place with a water resource becomes a place of refuge as well as a designated target for those in need of that resource. 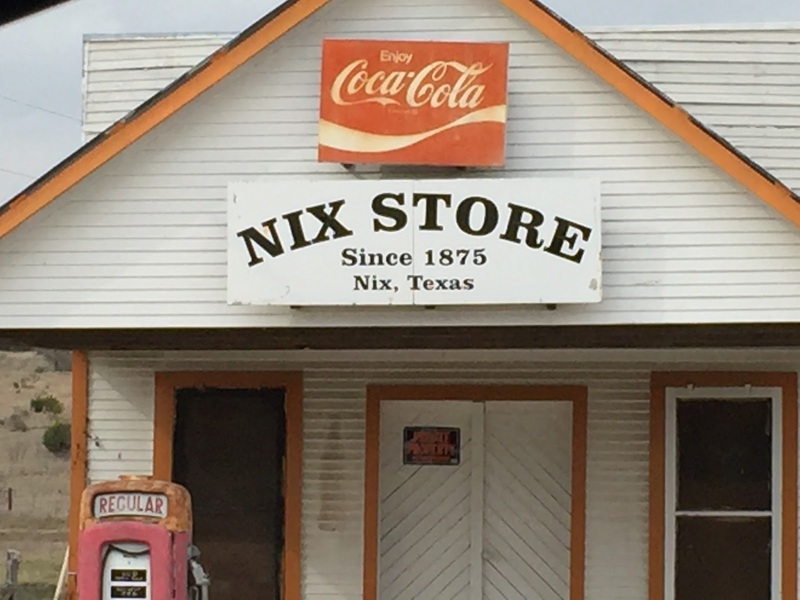 While I enjoyed using real places, the main setting—Abney, Texas—does not exist. I could not bear to destroy a town that I know and love, so instead I used a compilation of several towns in central Texas. Deep Shadows is a story about relationships and how they survive or crumble when what we’ve feared, as a society, occurs. It’s also a story of faith and hope. What do I hope readers take away from this story? The assurance that God’s grace is always sufficient. Take the worst scenario that you can imagine, and you can still count on our Heavenly Father—maybe not to make things instantly better, but to lead, guide, and care for us regardless the circumstances. 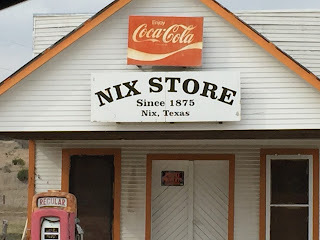 Life in Abney, Texas, is predictable and safe-- until the night a massive solar flare wipes out all modern technology. Shelby Sparks, novelist and single mom, had one goal: to provide for her diabetic son. In the wake of this global disaster, her mission hasn’t changed. Only now, medication is a priceless commodity and the future resembles an apocalyptic nightmare. Max Berkman and Shelby were once sweethearts, but he lost his chance at claiming her love years ago. When the abrupt loss of power ushers him into a leadership role, he rises to the occasion. But his highest priority-- to keep Shelby and her son safe-- could prove to be the biggest challenge of all. As the brilliant northern lights give way to deep shadows, Max and Shelby’s faith will be tested like never before. Only one rule remains: Find a way to survive. In this first book in an eerily plausible dystopian series, a memorable cast of characters must navigate a familiar world thrown into chaos. Vannetta Chapman writes inspirational fiction full of grace, including romantic suspense and Amish romance novels. 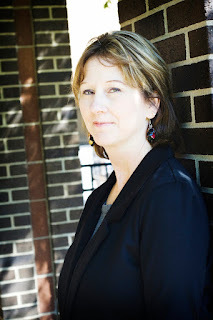 She is the author of seventeen novels, including the Pebble Creek Amish series, The Shipshewana Amish Mystery series and Anna’s Healing, a 2016 Christy Award finalist. 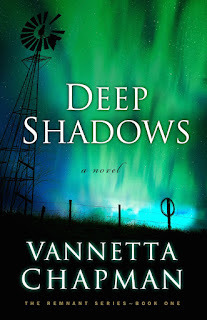 Vannetta is a Carol award winner and also received more than two dozen awards from Romance Writers of America chapter groups. She was a teacher for 15 years and currently resides in the Texas hill country. For more information, visit her at www.VannettaChapman.com. Mother and Son: The Respect Effect and Giveaway!!! Dr. Eggerichs and the publisher are giving away one hardcover copy of Mother and Son: The Respect Effect to one lucky commenter! Be sure to leave contact information to enter so we can notify you if you win! Love is important, but it is respect that is the key to your son’s heart. The idea of moms respecting their sons may sound alien to some, but it seems to ignite curiosity across the board. It is easy to relate to the need for all of us to feel a mother’s love, but is that the same thing as respect? Even for young boys, the effect of respect is nothing short of astounding when applied properly. Moms yearn to learn anything that better helps them with their sons. After all, they love their boys, but many find them more difficult to parent than their girls, especially from age four and up. What makes this all the more urgent is that moms are coaching fathers to love their daughters, but no one has said boo to moms on specific ways to show respect to their sons, at least not in a way that is applicable and fully explained. All realize that little girls need daddy’s love, but who is strongly promoting the truth that little boys (and big ones) need Mom's respect? No wonder mothers feel left in the dark on this topic. 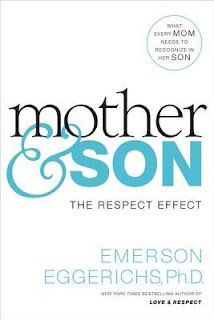 Just as Emerson Eggerichs transformed millions of marital relationships with a biblical understanding of love and respect, he now turns these principles to one of the most important relationships of all, a mother and her son. 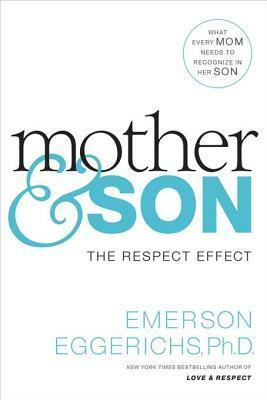 My thoughts: MOTHER & SON: THE RESPECT EFFECT is a book that seems to be spot-on, biblically. I have two sons, both young adults. One son is honest and trustworthy, makes wise decisions, thinks things through and behaves maturely. The other is impulsive, easily led to make bad decisions by his friends, and is floating through life unemployed more than employed, homeless more often than not, and well, sigh. It is so easy to respect the one and not the other. MOTHER & SON has shown me that just as I need to respect my husband I also need to respect the son that is more of a trial. I am trying to be more respectful in my comments toward him and will try to remember to try to calm disagreements with the words, "I am not trying to disrespect you..." and see if Dr. Eggerichs' advice there works. I read the book, hoping for some wise nuggets and there are a lot, but I feel that most of the book is geared toward mothers of boys, not mothers of men. It probably would've been more beneficial to me if I'd read it when my son was five, maybe, instead of twenty-five. But there are still things I learned, and will be putting into effect immediately. The first five chapters are mostly testimonials, the last five chapters are more testimonials. Recommended. The introduction is more of a sales pitch than an intro. But he is right. Males are different than females. And we need to respect those differences and be more understanding and respectful when the male responds differently than the female wants him to. 4 stars. Interview with Beth Vogt and giveaway!!! 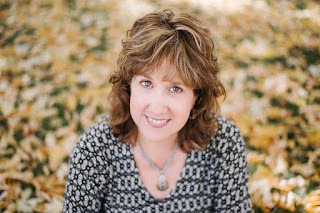 Today we welcome Beth Vogt to my blog. Thanks for stopping by, Beth! Beth is willing to give away one copy of her book to one commenter. Please leave contact information. To enter answer the question that is in bold print below. I love your contemporary romances, Beth. Why do you write the kind of books you do? My contemporary romance novels are all driven by the belief that relationships are messy – and yet relationships are still worth it. God desires relationship with us. He loves us enough to step into our messy lives and heal our hurts so we can love him and love others. How has being published changed your life? Being published has enabled me to say, “I’m living my dream!” I’ve always wanted to be a writer, although that dream has changed from being a nonfiction writer and editor to being a novelist. I’ve also learned that “living the dream” means doing the work: meeting deadlines, rewriting, being willing to tear up a manuscript because I know it’s not working, and repeating this process for every book I write. What advice would you give to a beginning author? Find a mentor. My mentors have made all the difference in my writing life. And no, I didn’t find a mentor right away;there were some years I was on my own. But classes can substitute for a flesh and blood mentor, and so can craft books. While you’re reading books and attending conferences or local workshops, be praying for a mentor. See what relationships you develop with other writers farther along the writing road. Don’t be afraid to ask someone to consider being your mentor – but realize their answer may be yes or no. Know what you want from a mentor and be willing to let the relationship bend and flex to your personalities. She’s won an all-expense paid, luxurious, dream wedding—all she needs now is the groom! Winning a destination wedding would be a dream come true…if Caron Hollister and her boyfriend were engaged. How is she supposed to break the news that she’s won their dream wedding when he hasn’t even proposed? Sure, everyone says they’re perfect for each. And he’s likely to pop the question any minute. But will it really work if he can’t even see why she likes the idea of a destination wedding? Realtor Kade Webster has put his past heartbreak with Caron behind him. His thriving real estate company keeps him busy and now he’s secured a big win with the Colorado Tour of Homes. Then his home stager cancels, leaving him in the lurch…just as Caron shows up in his life once again. She can help him with the Tour as long as they keep things purely professional. Spending time helping Kade while she should be planning her dream destination wedding has Caron in knots. They broke up for good reasons, yet she’s still embarrassingly attracted to him, even if he sometimes drives her crazy. How can she be feeling such things one man when she’s imagining a wedding with another man? Can she say “I do” to one man when she’s wondering “What if” about another? What one question would you like us to ask your readers? If you had an unlimited budget to make over one room in your house, which room would you focus on? Any specific details you’d focus on? Tell us about the giveaway you’re offering. 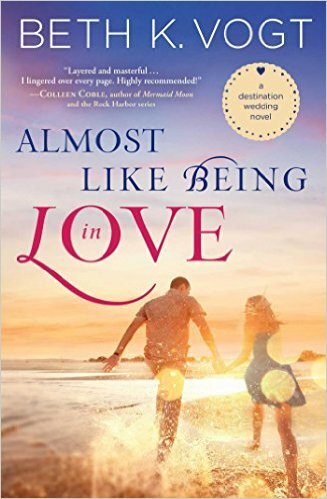 I’m giving away one copy of Almost Like Being in Love, which is the second novel in my destination wedding series. How did Almost Like Being in Love get started? I introduced the heroine, Caron Hollister, in Crazy Little Thing Called Love, my first destination wedding novel. Caron is Logan Hollister’s little sister – he was the hero in Crazy Little Thing Called Love – and I just scratched the surface of her story in the first book. 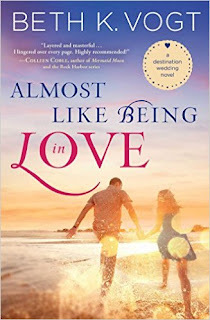 It was a lot of fun to discover who she was and what was going on with her romance with Alex as I wrote Almost Like Being in Love – and to also bring back Logan and Vanessa. Tell us about your research process. I’ve learned writing a novel isn’t always writing what you know. It’s about writing what you research. Both Caron and Kade Webster, main characters in Almost Like Being in Love, are Realtors. I know nothing about buying and selling houses – except for the fact that my husband and I have done that several times. I’m thankful I have several friends who are Realtors, and they were wonderful resources for me. One even read my entire manuscript for me and gave me feedback. Alex, who is Caron’s boyfriend, is an AC/Heating technician. Once again, I have no personal experience with that field of work, but I one of my writing buddies who runs that kind of business with her husband. She answered all my “What would Alex do?” questions. How do you handle distractions? I write in between the interruptions in my life. That means during my teen daughter’s club volleyball season, I take my laptop with me to tournaments and write in between her matches. Some nights I stay up late and write when everyone else is sleeping or I get up way-early and write while the house is still quiet. Some days are family-focused and my imaginary characters are ignored. I don’t complain about insomnia. A night of not sleeping equals a good writing night. And Bose headphones? They’re one of my best writing tools ever. What’s on the horizon for you? What will you be writing next? I’m working on a novel that examines the relationships between sisters – and yes, there are twin sisters involved. As a twin myself, I’m intrigued by that dynamic. Where can readers find you online? I love connecting with my readers. One of my favorite things to do is to ask “I’m curious” questions on my Author FB page and to host contest giveaways, too. Oh, I guess that’s two favorite things! It’s back-to-school time in Bear Country! After the long and lazy summer, it’s time for school. Brother and Sister are ready to see their friends and get busy with all of the things they enjoy about school—but are nervous about the more challenging subjects like math and history. And Honey Bear will be going to nursery school for the first time—but how will she handle not being home with Mama and Papa all day? In this new Berenstain Bear Living Lights book, Mama and Papa Bear remind their cubs that prayer and God’s love are always there to guide them and that they will support them no matter what the challenge. 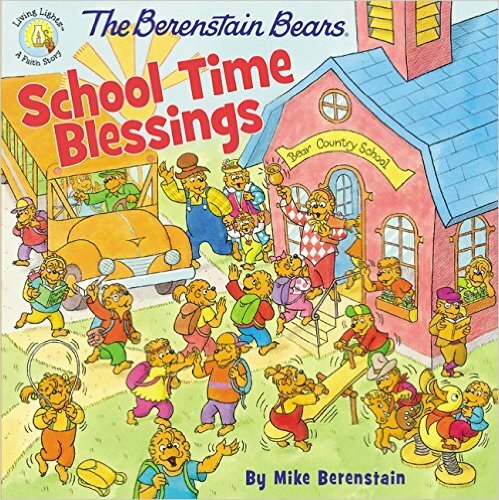 My thoughts: THE BERENSTAIN BEARS SCHOOL TIME BLESSINGS is a cute book about going back to school, separation anxiety, dealing with the most favorite and least favorite class subjects and asking for help when you need it. It shows preschool children that school can be fun and that they will get to go home with mommy and/or daddy at the end of the day. It also shows that older children don't have all fun and games, there are confusing subjects, but with God's help (and maybe a parents, grandparents, or a friend's assistance, too) they can figure out even the toughest subjects. 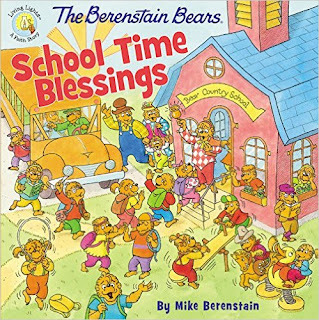 If you have a favorite child starting school for the first time later this summer/fall, then you will want to pick up a copy of THE BERENSTAIN BEARS SCHOOL TIME BLESSINGS. Recommended. 4 stars. Widower Fred Sankt is a professor at a small Catholic college who is not at all accustomed to dreaming. When he begins experiencing a series of profoundly vivid dreams that consistently awaken him at 3:00 a.m., he is not alarmed-simply curious. 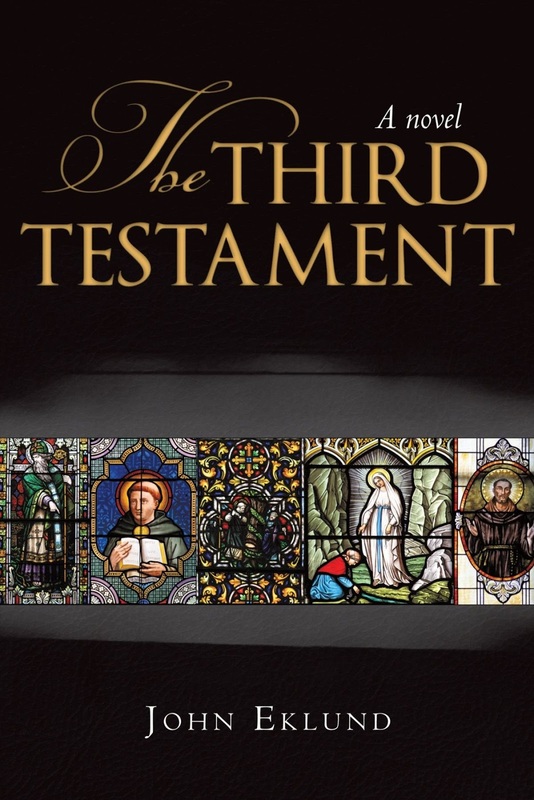 In the last of his dreams, Fred meets a faceless old friend who informs him that he has been chosen by God to record the next testament of the Bible. Fred decides that, even though it has been nearly two thousand years since the last passage in the Bible was written, if it is God's will for him to take on a project of this magnitude, he has no choice but to accept. But his entire world is turned upside down when his doorbell rings unexpectedly one evening. After he is served a summons, Fred thinks things can't get worse until he receives the news that his daughter Ellen's health is in jeopardy. Despite his personal hardships, Fred soon finds that writing is his only solace. As Fred continues on a spiritual journey to unlock the truth, he creates a treasure for all Christians that ultimately reignites the torch of the faithful. 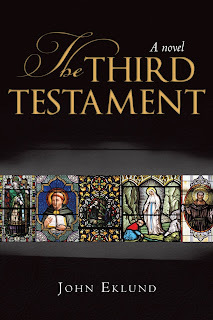 John Eklund is a practicing Catholic who took to writing Christian fiction on a whim and found he loved every minute of it. He resides in the Chicago suburbs with his wife Jennifer, daughter Addison, and two dogs, Greta and Isabel. This is his first novel. Jewel Caraway thought she'd left her mistakes in the past—but then her past arrives at her door. Though she's thrilled to reunite with her estranged sister, something about her sister's new husband makes Jewel uneasy. Does he know her secret? Is he the one behind the growing list of attacks against her? And if he is involved…does that mean her sister is, too? With nowhere else to turn, Jewel must rely on police chief Colin Winters—the first man to make the widow question her resolve to never love again. But will he stay by her side when her guarded secrets are revealed? 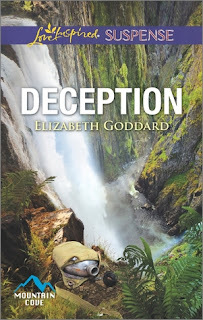 My thoughts: DECEPTION is Ms. Goddard's newest suspense, and it is edge of your seat fiction for sure. Someone is trying to kill Jewel, but why and who? The trouble always seems to start when her sister and her new husband arrived on vacation. Jewel is happy to see her sister, since the family was estranged, but she is a bit uncomfortable with her sister's new man. Jewel is a bit older than the average characters in Love Inspired Suspense, since she's in her mid-to-late forties and Colin is in his fifties. It was nice reading a story about a middle-age couple who've loved and lost. That was a surprise since the average age in most LIS are late twenties to mid-thirties. The :who-dun-it and why are fairly obvious in this story, but when a female turned out to be assisting, the suspense level went up. Who is helping? How did they discover Jewel's carefully kept secret? I had to keep reading to find out that part of the suspense and how the "bad guys" were caught. If you like romantic suspense, then you will like DECEPTION. Lynda Turner has struggled with depression since her husband abandoned her and their young daughter fifteen years ago. Yet unexpected hope awakens when a local ex-convict shows interest. As long-hidden secrets resurface, Lynda must fight for her emotional stability and for a life where the shadow of shame is replaced by the light of love. Jilted tells of a woman who has lost the joy of living, a man determined to draw her back toward happiness, and a town that must---once and for all---leave the past where it belongs. It is a gentle reminder that all things can work together for good. 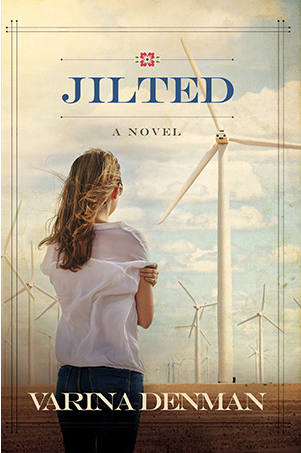 My thoughts: I totally loved Jaded and Justified, and anxiously looked forward to reading JILTED. My friend http://cindylovenreviews.blogspot.com/2016/06/varina-denmans-jilted-50-sweet.html told me that it was depressing so I kind of dreaded starting it. But I told her how good the first two were and she said she gave this one a solid 4 stars, so I dug into this one, despite the depression warning. Life hit and drama erupted in my own life and I put the book aside to deal with reality. I talked to my friend again and she mentioned that she read something about the bones that were found and she had no clue who they were because she hadn't read the first two books. I said bones? There were no bones mentioned in the first two books! But I made a guess who the bones belonged to, she told me I'd have to read the book to find out, and then I told her who killed that person, and she said "Wow, you're good." Maybe. Or maybe I just know how a writer's mind works. So when I sat down to read JILTED I went in, knowing that the person I'd imagined would show up in this book, did show up, but dead. And I knew "who did it." But I didn't know why. Or how. And the events that got me there were well written, engaging, and even reduced me to tears a time or two. (Or maybe that was just because I was having a meltdown due to my real-life drama.) And I do have to admit that something about the who-dun-it moment was a complete twist that I never saw coming. I will give this book 4 stars because it made me cry--whether it was story related or real life related. And I don't like to cry when I read. Loved these books, this series. And will definitely look for more books by Varina Denman. Varina Denman writes stories about the unique struggles women face. She teaches creative writing and literature, volunteers in her local cooperative, and is a home educator to her five children. She resides with her family in North Texas. Can all things really work together for good, and can the joy of living be found once again? Don't miss one woman's story in book three, Jilted, of Varina Denman's Mended Hearts series. Lynda Turner has struggled with depression since her husband abandoned her and their young daughter fifteen years ago. Yet unexpected hope awakens when a local ex-convict shows interest. As long-hidden secrets resurface, Lynda must fight for her emotional stability and for a life where the shadow of shame is replaced by the light of love. 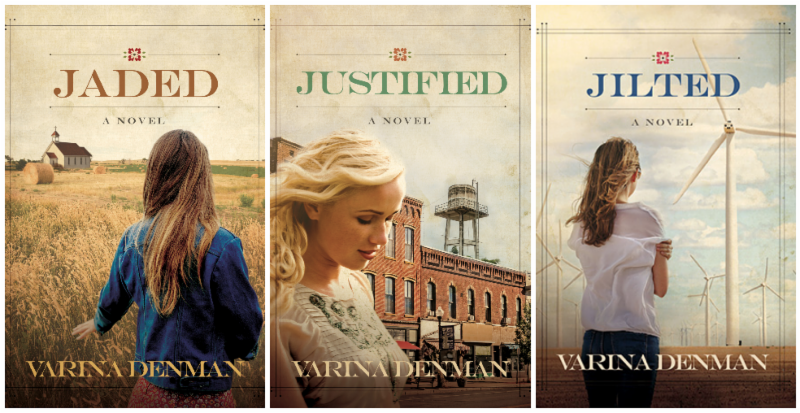 Celebrate the release of Varina's Jilted by entering to win a $50 gift card. The giveaway ends on July 1st. The winner will be announced July 5th on Varina's website. 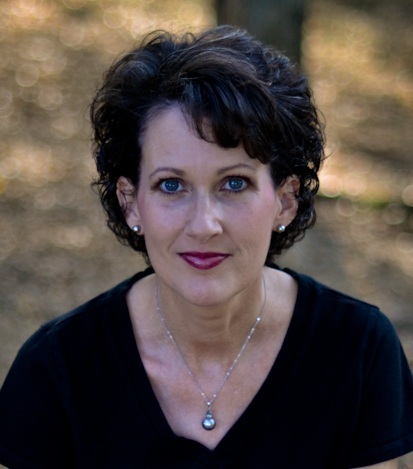 Interview with Kelly Irvin and giveaway! Whispering to Horses / Giveaway!